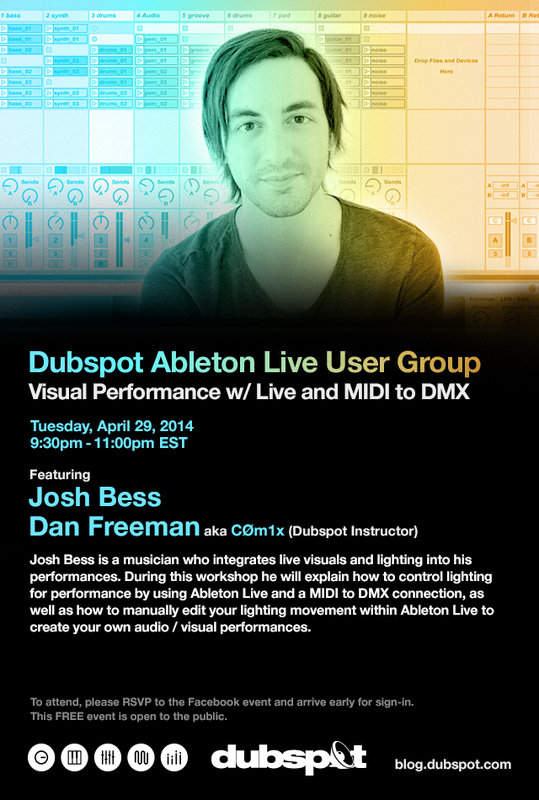 On Tuesday April 29th, our Dubspot NYC Ableton Live User Group continues with guest instructor Josh Bess and host Dan Freeman (CØm1x). Josh Bess is a musician who integrates live visuals and lighting into his performances. During this workshop he will explain how to control lighting for performance by using Ableton Live and a MIDI to DMX connection, as well as how to manually edit your lighting movement within Ableton Live to create your own audio / visual performances.